Heat oven to 400°F. Spray cookie sheet with cooking spray. Unroll dough on cookie sheet, forming 14x11-inch rectangle. Spread garlic and herb cheese lengthwise down center 1/3 of rectangle to within 1/2 inch of short ends. 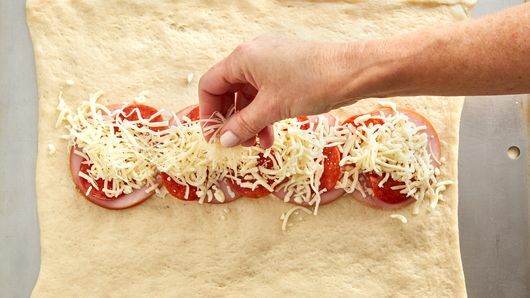 Top with Canadian bacon, pepperoni, mozzarella and Parmesan cheese. 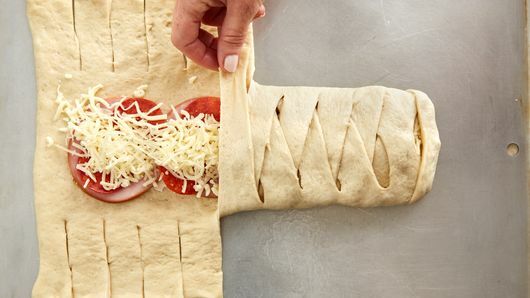 With scissors or sharp knife, make cuts 1 inch apart on long sides of dough to within 1/2 inch of filling. Alternately cross strips over filling. Fold ends under to seal. In small bowl, mix egg yolk and water until well blended. 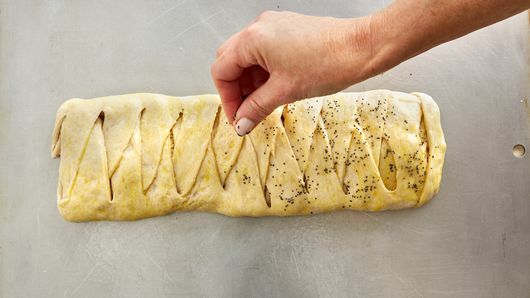 Brush over dough; sprinkle with poppy seed. Bake 11 to 16 minutes or until golden brown. Cut into crosswise slices. Serve with pizza sauce. 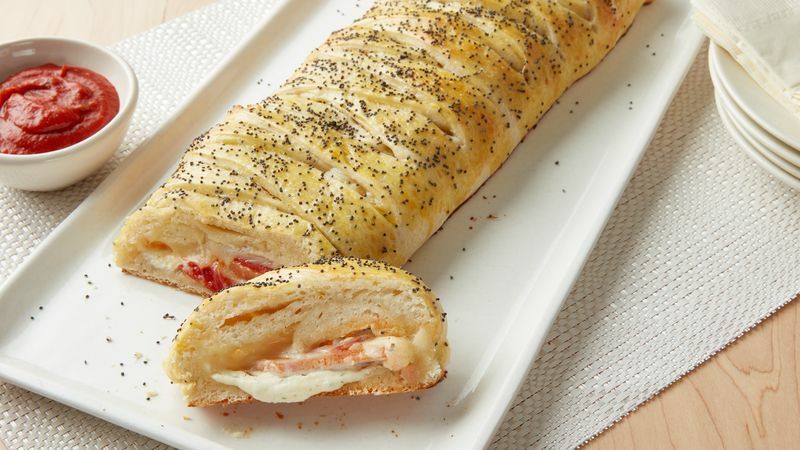 Try hot and spicy pepperoni to fire up this pizza snack.